Remember that this is the company that sank venerable names like Pontiac and Olds to concentrate on their core mission of carz. And didn't Iacocca already try this two decades ago? How long before they sell off the brand when it fails (at least by GM's metrics)? What is the airspeed of a swallow? A Laden swallow, or an unladen swallow? Whatever happened to that GMC Denali bike that they used to sell at Walmart? 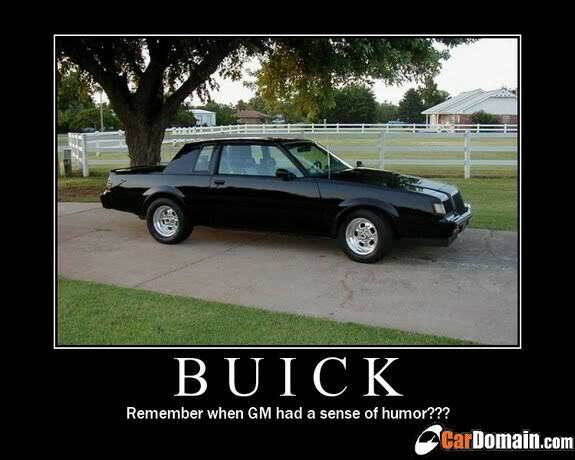 exactly when did GM lose all sense of styling...? For those who brag they cycle to stay active, but are too lazy to pedal. They're likely doing this for exposure - and have already hired an agency to develop the brand. I've worked with GM (the Escalade) and they did the same thing then. Ironically, these naming contests rarely generate the final name - but cost the company two additional ways... 1. The wasted man hours (employees always do this at work) and 2. The additional fees the the agency charges to sort through the hundreds/thousands of names. But in this case, the (almost) free ink they're getting may make it worth it. When did GM ever have a sense of styling? They had some major style kavorka going in the mid 50s to late 60s. 55 chevy bel air... perfect. 55 chevy pickup truck... perfect. 67 camaro... perfect. 68-69 camaro... honorable mention. The mid-60s impalas were no slouches either. Even some corvairs were cool, until they flipped over, burst into flames and killed everybody in a half mile radius. several model year vettes were instant classics and enduring great designs. 67 GTO... one of the most perfect car styles ever to come out of detroit. Hey, a businessman can ride it to the airport, not get all hot and sweaty. He can fold it up and carry it on the airplane, and ride it when he gets to his destination. Not bad. Fenders, too. Well OK, if you go back to the 1960s, yes, they had some cool stuff. Things certainly went down hill come the 1970s. The Corvair while it had its issues with oversteer and oil leaks was still a far better car than its successor, the Vega which had engines that cooked like baked potatoes. You almost never saw a rusted Vega because they didn't last long enough to rust. And then came the Roger Smith years of the 1980s. Can you say ugly at any speed? The x-cars like the Citation broke records for recalls. And they thought they couldn't break their own recall record of the 1978 Monte Carlo and its Pontiac, Buick and Oldmobile clones. Everybody is #1 in something! Is it any wonder people were gobbling up Japanese cars while American car companies were screaming "Buy American! ", but couldn't offer anything better. Let the lawyers fight it out. How about “garbage,” like the cars they make. If I get an eBike, does that mean my endurance will go down?